The Piano Encyclopedia Blog – The Piano Learning Revolution » The New Interactive Music Training Suites! Play by Ear and Read Music at First Sight! The New Interactive Music Training Suites! Play by Ear and Read Music at First Sight! We all thank you for the support of each and everyone of you, as well as your touching comments and feedback. The success stories of our students who benefited from using our Digital Home Study Course “The Logic Behind Music” made us stop and think: “Our labor was not in vain”. And it is for this very reason why we are determined to push harder. Education is a never ending process. Application helps us to easily understand. Practice makes it perfect! As we continue to thrive on providing you the simplest way to love and learn music, we hereby proudly announce our latest update – The Piano Encyclopedia’s Ear Training Suite AND The Piano Encyclopedia’s Sight Reading Training Suite. Since some of our students wanted to learn how to sight-read music notes and symbols, and also to train their ears skills, we developed these two new important sets of interactive music suite games that will surely bring you a lot of fun combined with learning. Tempting, isn’t it? Well, let’s take a peek on what’s inside these music games. This is a set of three interactive music games having a total of 24 different levels. It is designed to train your ear with different sets of chords, intervals, and scales. As you progress along, they get harder per level. Our Ear Training Suite is quite different from any other ear trainer you can find. We take it into a whole new experience as we adapted and applied the concept of “music as the balance of tension and release” that you will learn on The Main Lesson of course. The Interval Ear Trainer with 8 different levels. 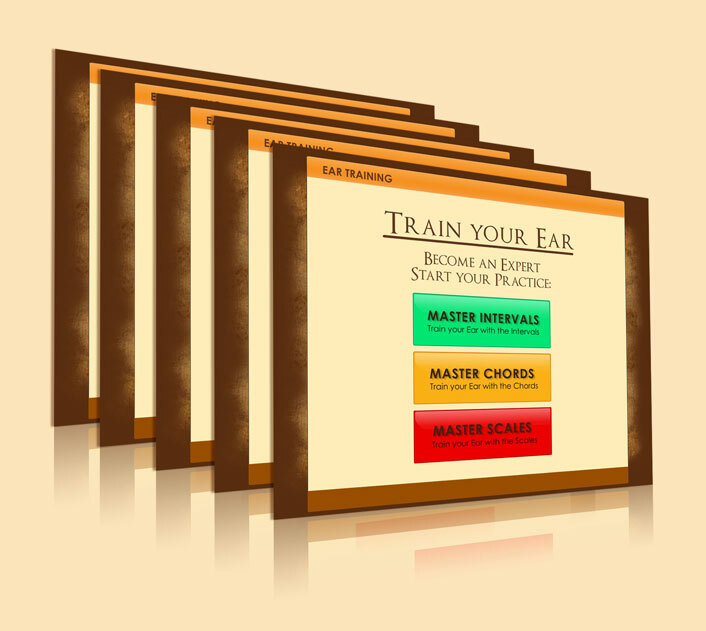 The Scale Ear Trainer with 6 different levels. The Chord Ear Trainer with 10 different levels. It is a set of four interactive music games designed to train your music reading skills, by letting you recognize notes, key signatures, intervals, and chords. Just like our Ear Training Suite, this also comes in different levels, and every progression will train you to master your sight reading skills. The Note Reader Trainer – lets you master the G and F clef separately and together. It comes in 3 different levels. The Key Signature Trainer – lets you read a whole lot faster not only in Major and Minor keys, but also in the G and F clef. It has 6 different levels. The Interval Sight Reading Trainer – lets you recognize all the intervals so that you can read chords and scales easily. This is packed with 3 different levels. 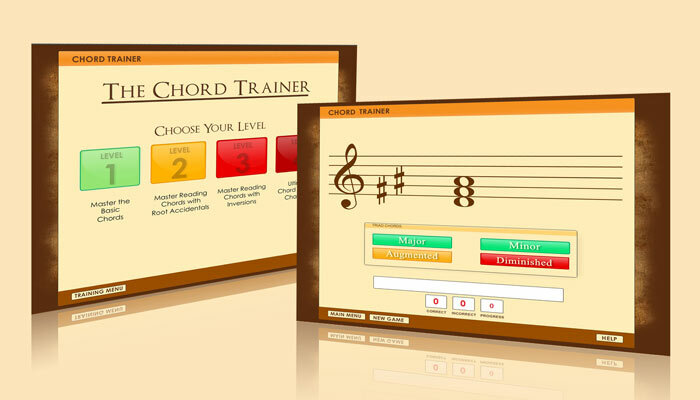 The Chord Sight Reading Trainer – lets you master the most important chords, along with their inversions. It has 4 different levels. These music suite games are interactive and are easy to use, purposed to hone your sight reading skills and listening skills. To add more, both of the music suite games have a super nice graphical user interface, making learning a fun and entertaining process. A score keeper will let you know how well you are doing as you practice, and you have plenty of levels to choose from, with different difficulties. All of these features are now available and included as part of our Digital Home-Study Course “The Logic Behind Music” for FREE!!! One Response to The New Interactive Music Training Suites! Play by Ear and Read Music at First Sight! I’ve been following The Piano Encyclopedia for quite a while now and I just wanted to say that it’s updates like this that strengthen the innovative quality of your teaching method. Can’t wait to try these suites! Keep it up!